18 pics. Canterbury is famous for its antiquity, Canterbury Cathedral, numerous ancient buildings, the martyrdom of Thomas Becket, a destination for pilgrims, the oldest UK Church still in use (St Martins), Chaucer’s Canterbury Tales, Rupert the Bear by Mary Tourtel and Smallfilms (Clangers and Bagpus and many others) by Oliver Postgate and Peter Firmin. 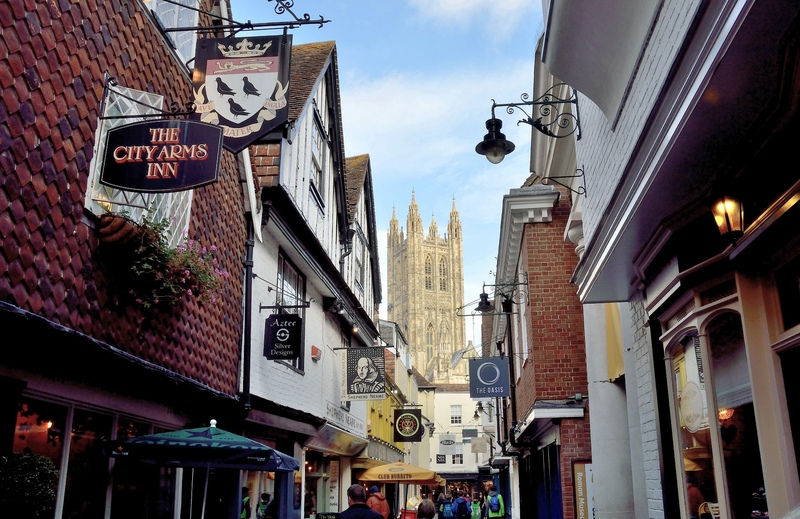 Canterbury is well worth a visit particularly as there is so much to see within walking distance. 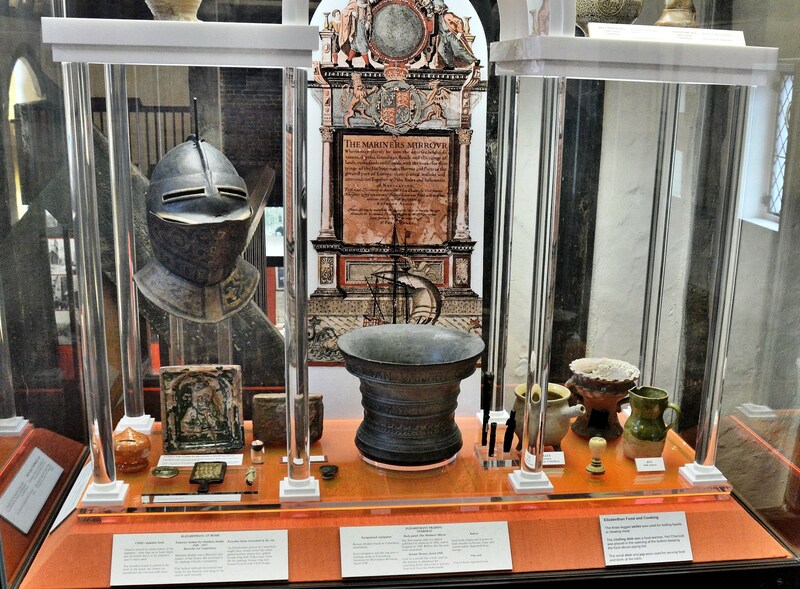 My own favourites were the Heritage Museum, The Beaney House (free) and Canterbury Cathedral. ⇐ Pilgrims Way is a walking route stretching all the all the way from Winchester, which is over a hundred miles away. Chaucer’s Canterbury Tales refers to the fictional stories told by a group of pilgrims on their way to Canterbury. A shorter route is from Canterbury West Station which leads onto St Dunstans Street (turn right out of the station) and thence to St Peter’s Street (turn left – and about 5 minutes walk altogether). 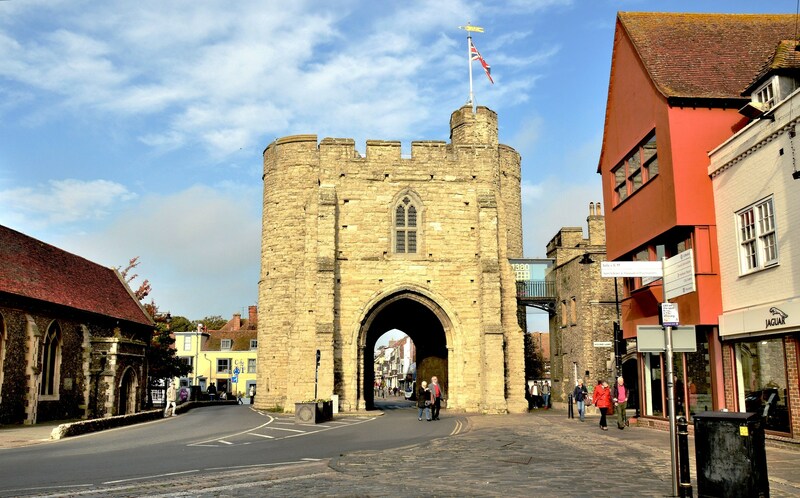 A little further on, is the old town’s Westgate which houses a small museum⇒ and access to the view from the battlements. This is the northern of three branches of the River Stour running through Canterbury. This branch runs under the Westgate. There are chauffeur driven Canterbury Westgate Punts ⇒ during the summer . 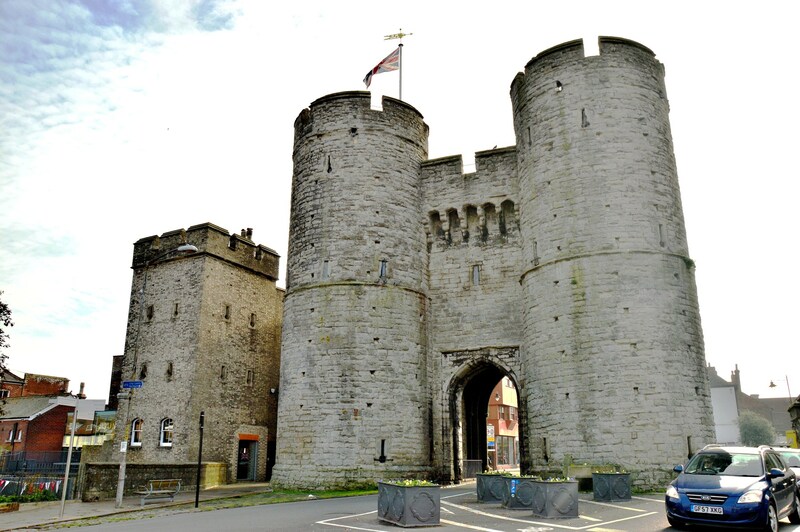 We are now on the other side of the Westgate with the Guildhall on the left. Turning around and walking down St Peter’s Street the road becomes traffic free and on the left is St Peter’s Lane and the church. St Peter’s Anglican Church ⇒ has been in use for over 900 years and is open every day. Further along, the road then becomes the High Street and on the right is the Hospital of St Thomas (Eastbridge). More pictures and information ⇒. 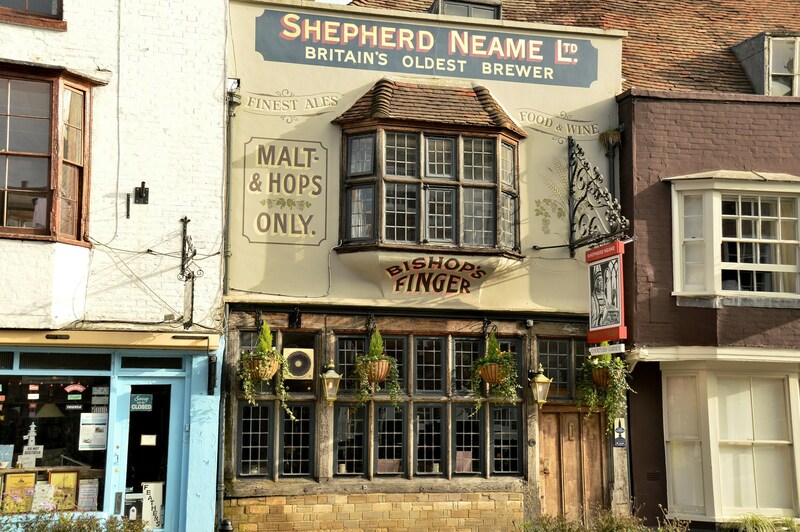 Opposite St Thomas’s is the Wildwood and access to Canterbury Historic River Tours ⇒ (not available in winter) beside the mid branch of the River Stour. 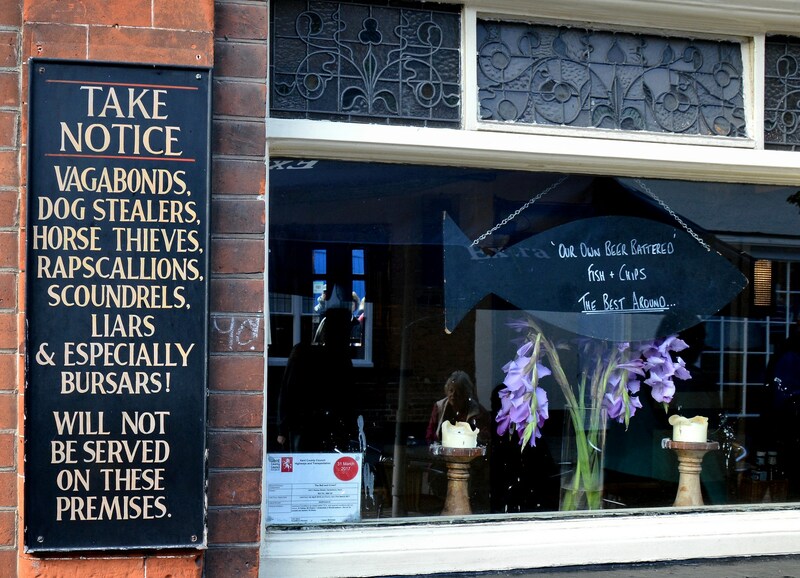 A little further along, on one’s right, is Stour Street and after about 4 minutes walk is the marvelous Heritage Museum ⇐. It is not open all year round so do check the website. Beside the museum is Water Lane which leads to a small footbridge that crosses a branch of the River Stour and on to Greyfriars Gardens. 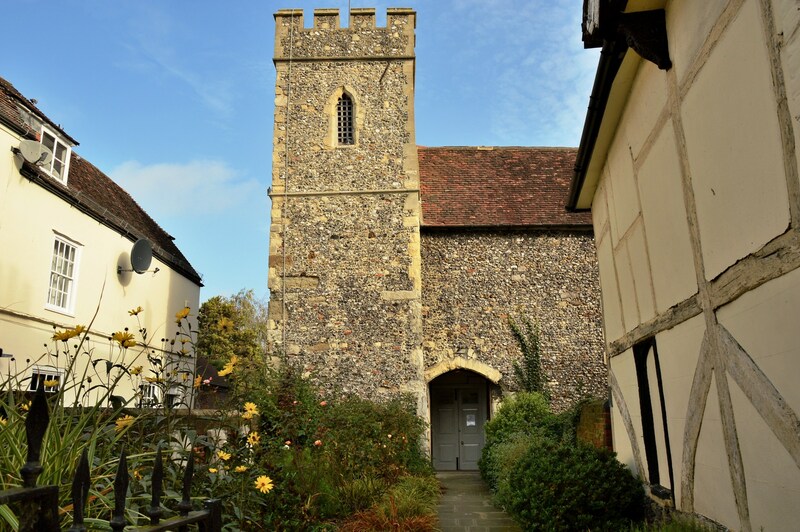 The gardens are beautifully serene and include free access to Greyfriars Chapel ⇒ . 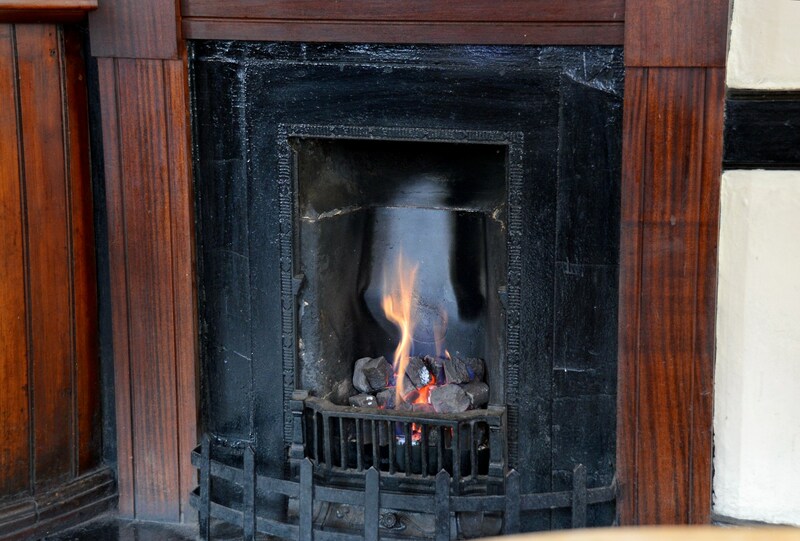 Opening times for the chapel are limited so please check the link. 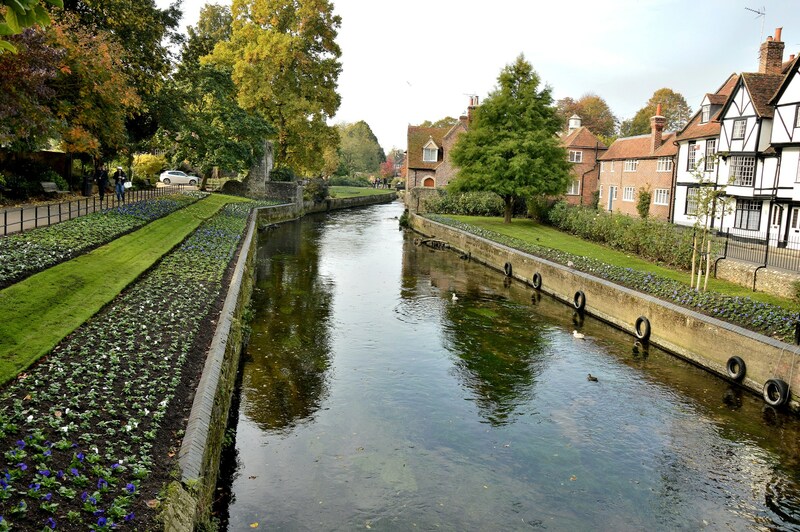 Canterbury Punting Co ⇒ operate along this stretch of the Stour during the summer. 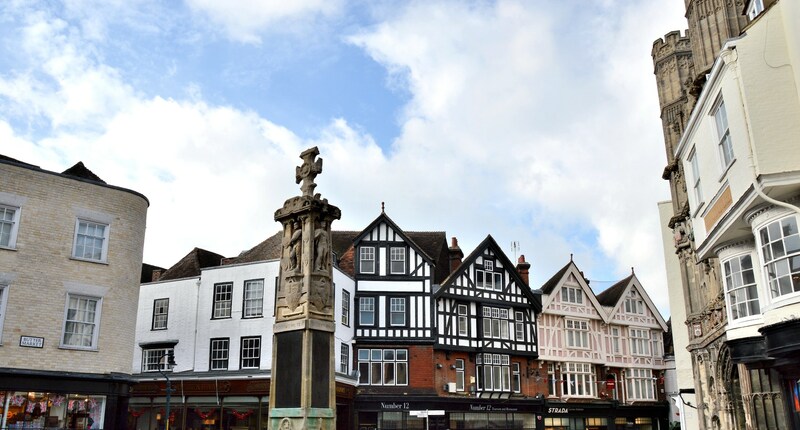 Returning to the High Street, a short walk south is the Beaney Institute. 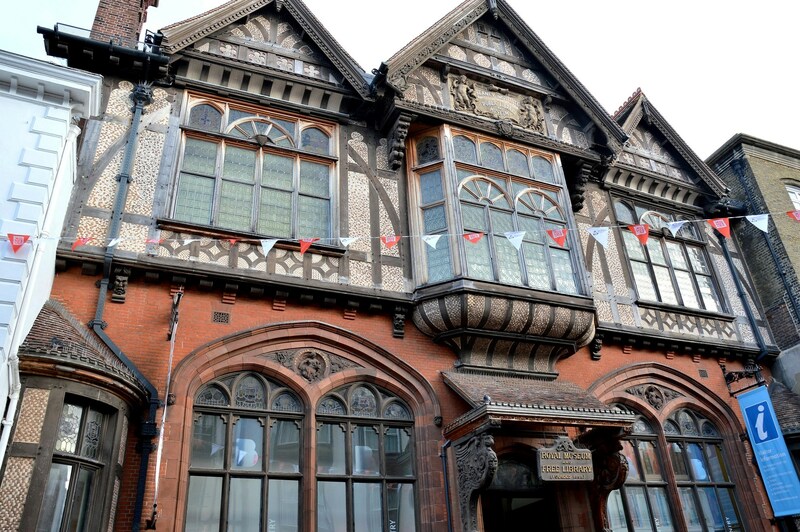 The Beaney Institute is free to enter and provides a number of exhibits/events. 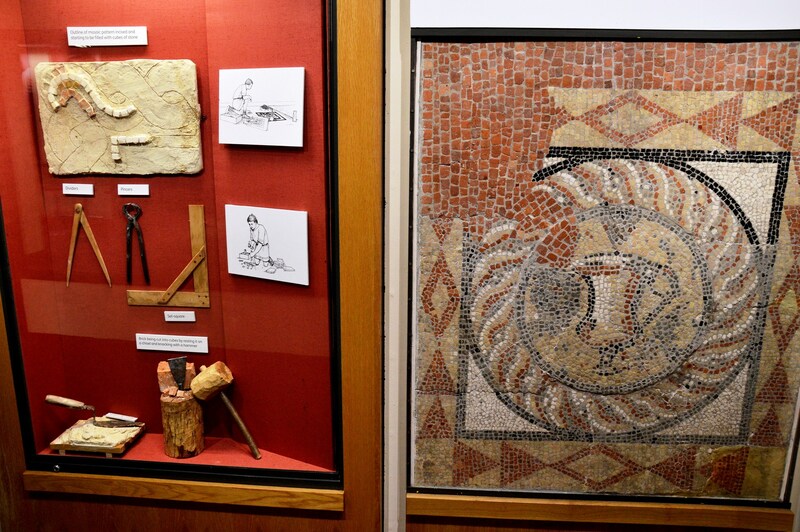 More with pictures of the exhibits ⇐ . 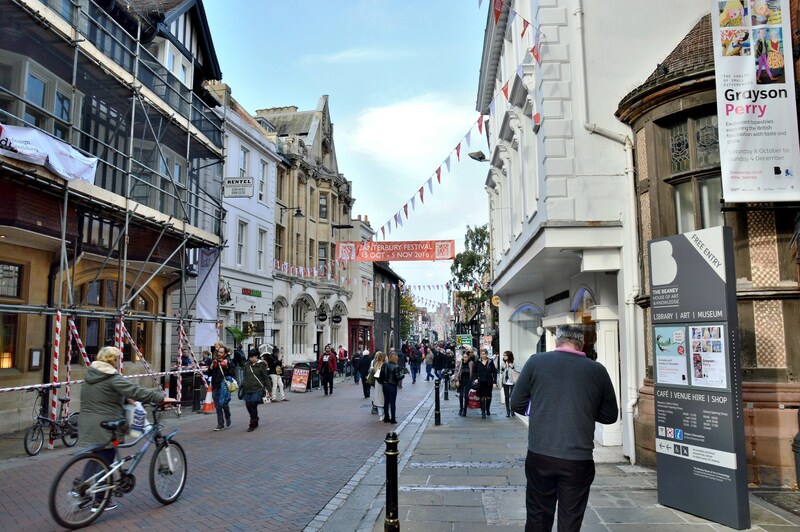 A quick look back along the High St to the Westgate. Turn around again, continue along the High St and on one’s left is Mercery Lane which leads to the cathedral. 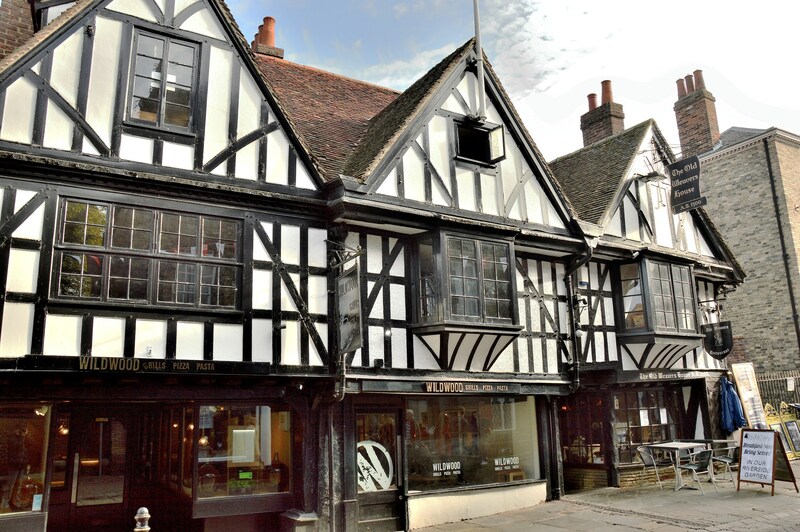 On the opposite side of the High St is St Margarets Street and The Canterbury Tales Museum ⇐ where you can immerse yourselves in the sights, sounds and smells of medieval Britain. A little further along St Margaret’s Street one might catch an evenings Ghost Tour ⇒ (usually on a Friday or Saturday). Alternatively, walk a little further along the High St and there is Butchery Lane with the Roman Museum on the right hand side. The view along Butchery Street. Roman Museum ⇒ I wasn’t all that impressed for the cost but you can get a cheaper combined ticket with the more extensive Heritage Museum (although not open all year). Turn left at the end of Butchery Lane and one comes to the War Memorial and the entrance to Canterbury Cathedral (on the right) on Burgate. 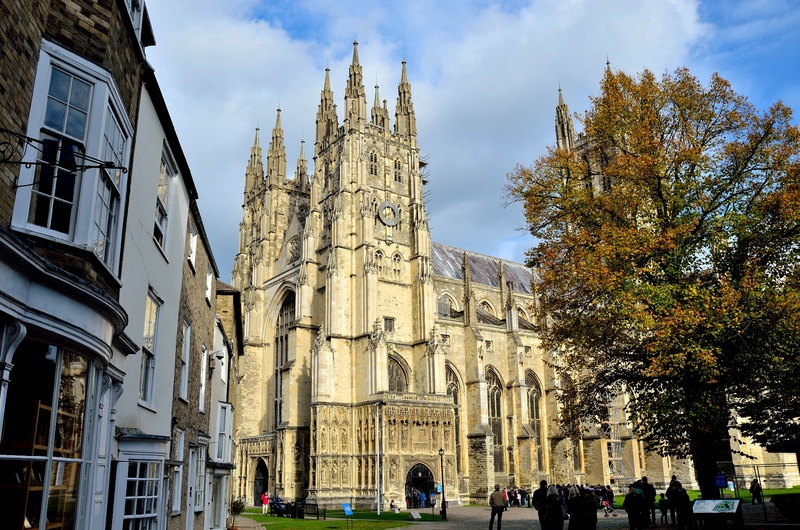 Canterbury Cathedral ⇐ with pictures of the extraordinary interior. 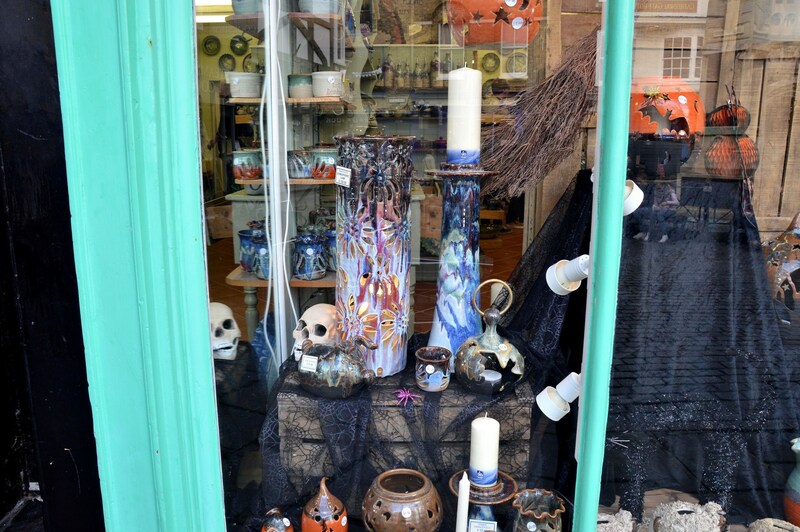 Canterbury has some interesting shops and plenty of inns and other eateries. This is Bell and Crown which has plenty of seating outside and is on Sun Street (extending from Burgate). As you can see it is a friendly place (really) and I was pleased to find that it serves from a wholesome and enjoyable menu. Turning back along Burgate and continuing to the end, one then crosses a main road (Lower Bridge St) onto Church St which leads to Monastery St. To one’s left is Findons Gate and Lady Wootons Green (with statues). To one’s right is Longport and the entrance to St Augustines Abbey ⇐ museum and ruin (please see the link for the gate and green). Longport continues on to the west and to North Holmes Road which leads to St Martins Church ⇒ . St Martins is the oldest working church in the UK and one can visit on Tuesdays, Thursdays and Saturdays (please check the link above). The second oldest (by a small margin) is All Hallows by the Tower ⇐ (London). 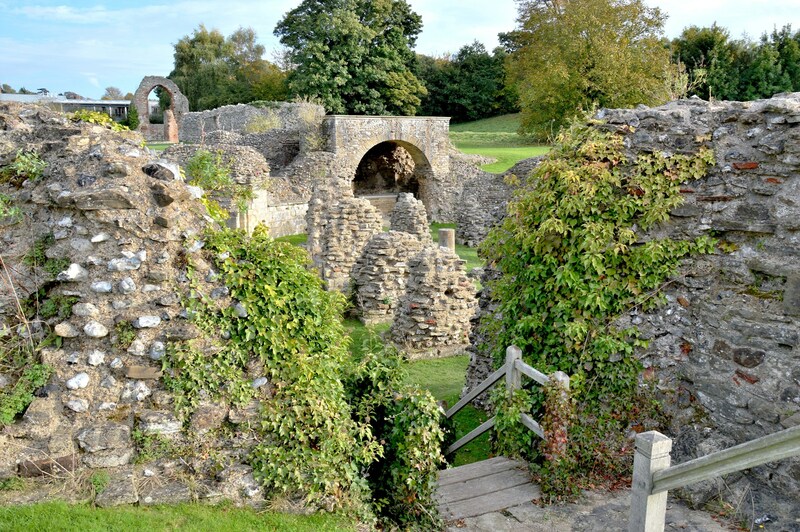 There is plenty more to see in Canterbury including Canterbury Castle ⇒ ruin. I hope you enjoyed your brief tour and thank you for visiting. This entry was posted on November 20, 2016 by Graham in Hats. 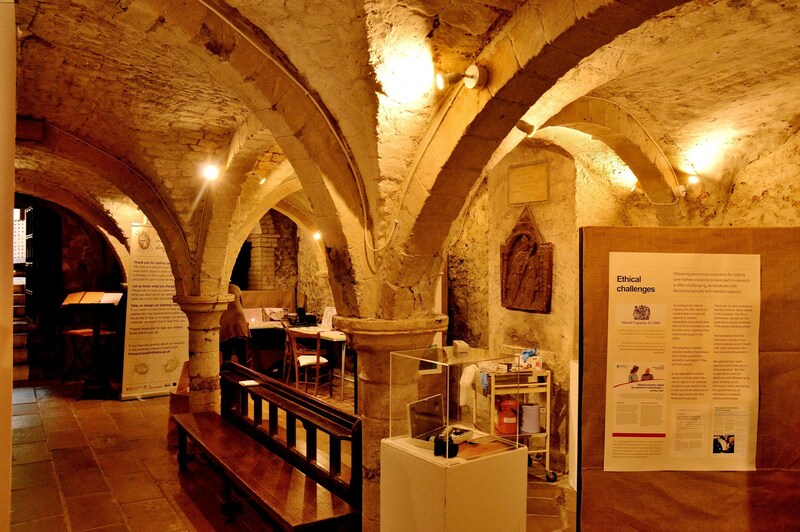 It was filed under History, museums, Photography, Places to Photograph Near London, Places to Visit, Travel, uk and was tagged with beaney institute, bell and crown, canterbury cathedral, canterbury heritage museum, canterbury river tours, canterbury westgate, st augustines abbey, Thomas Becket. I am glad you enjoyed. I haven’t been to Canterbury for many years and surprised to see how much I’d missed before. We’ve never been and this has been a great introduction for us! What gorgeous shots! It’s been years since I last visited Canterbury. How wonderful. I feel as if I have been there. Your photographs are amazing. Thank you for the trip.